With the internet so readily accessible about anywhere you go, it’s easy to get carried away and use more data than you planned. In fact, you could quickly reach the limit of your data plan resulting in a much slower internet connection or none at all depending on your carrier. The only way you can make sure you’re not inconvenienced with slow or lack of data coverage is to monitor your data usage and ensure that you’re using your allotted coverage as efficiently as possible. In the past, failing to monitor Android data usage often resulted in absurdly high data and phone plan bills. Fortunately, today, providers offer data plans that will prevent overuse, thus avoiding high bills. Nevertheless, not being able to use the internet on your phone or having an extremely slow connection can be quite frustrating. If you’re using an Android device and want to make sure that you don’t exceed your data limits, here are a few tips. Every carrier has different data plans, but most if not all of them set a limit on how much data you can use. Even carriers that advertise “unlimited” data plans set a limit to prevent their customers from abusing the service. Whether you have a data plan with a set limit or an “unlimited” plan, make sure that you’re aware of what those limits are. For “unlimited” plans, you’ll need to read the fine print on your contract. Some carriers may not state the actual limit but may hide it with terms such as “throttling” or limited video quality. It means that even though you still have an internet connection, the carrier may, at its sole discretion, opt to lower your speed or prevent you from accessing higher-quality videos. So, if you have a supposedly unlimited data plan, try to find out what your carrier deems as excessive usage to avoid reaching that point. In most cases, this would be around 20-22GB per month. Once you know what your limits are, you’ll need to set those limits on your device. Every device typically has different settings for this feature, so you might need to check your device manual to learn how to set data usage notifications. On the other hand, the process of checking data usage is almost the same on every Android version. In most versions, you’ll need to go to Settings, then select Data usage. In some versions of Marshmallow, or Android 6.0.1, you’ll need to open Settings, Status bar & notifications, then turn on Data usage. You’ll then be able to find out how much data you’ve used at the bottom of the notifications screen. Now that you’re aware of your data limits and have hopefully set your device to notify you when you’re nearing the limits you set, it’s vital that you know how to use your data efficiently. By limiting the use of data for the more important apps, you’ll avoid wasting data on useless processes, such as updating apps you hardly use. First, you’ll need to find out which apps are using data. To do so, go to Settings > Data usage. On this screen, you’ll be provided with a list of apps that are using data. In some Android versions, you’ll need to open Settings, then Mobile network. You’ll find the list of apps that are permitted to use data on this screen. Beside each of the apps is a slide button where you can choose to allow or deny access to data for that particular app. 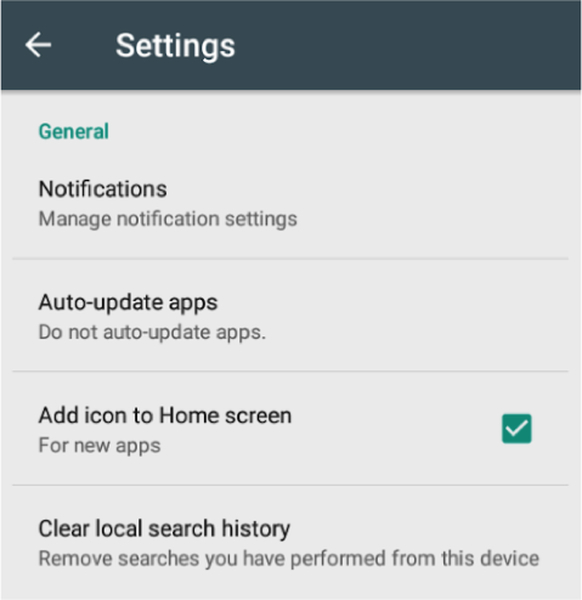 In other Android versions, you’ll need to tap on the app to set the permissions. You’ll also need to be aware that some apps use data in the background, which means that you might not even be aware that the app is running at all and that it could be using a significant amount of data. 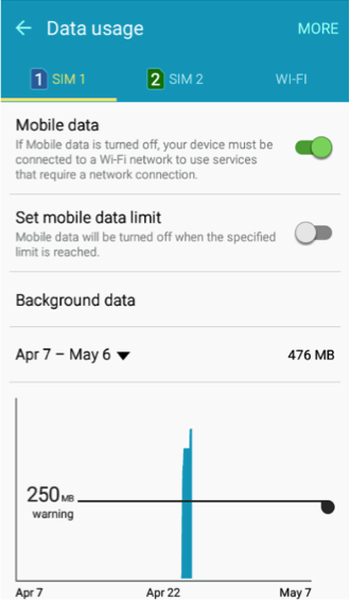 If you prefer to prevent these background apps from using data, you’ll need to tap into data usage, then “restrict background data.“ This process may be different in some Android versions. 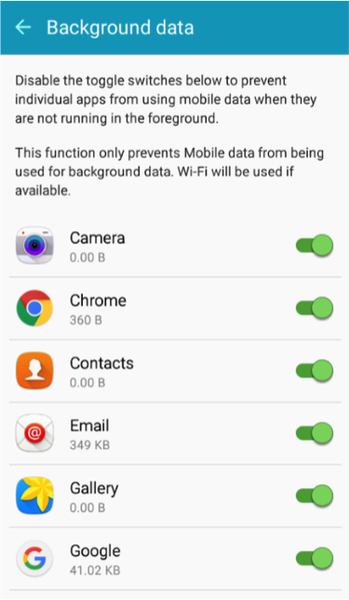 Preventing Android background data usage is an excellent way to limit your data consumption, but you’ll also need to be aware that this process could also prevent legitimate apps from using background data. When this happens, a particular app may not function correctly or may need to ask permission from you every time it attempts to use data. Another feature that can easily result in excessive Android data usage is the app update feature. It’s unfortunate that every app needs an update every once in a while. Some apps may even update twice in a single day. If you have a bunch of apps on your device, all of them could be using precious data to update, even those that you hardly use. Updates are important to apps so that they function correctly. However, you also don’t need them to update all the time. You can simply select which ones to update when needed and update the others at a later time. To prevent your Android from automatically updating your apps, open Play Store, then tap on the Menu Bar (three horizontal bars), then tap on Settings. 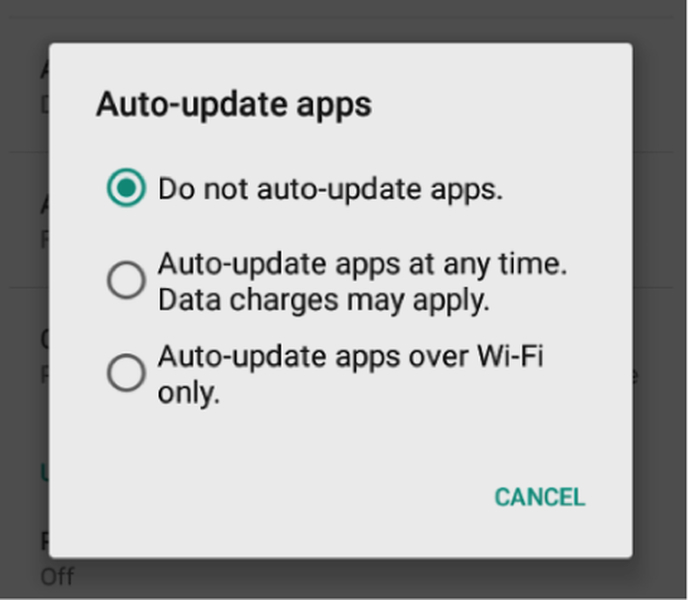 Auto-update apps over Wi-Fi only: the best choice if you want to update the apps but would also like to reduce data usage. If you’ve noticed, many of the apps for download at the Play Store are FREE. Unfortunately, the only reason why the developer offers free use of the app is because they earn through ads that run on the apps. In most cases, the ads are inconspicuous, so you’ll hardly notice they are there. However, to bring up the ad, the app needs to access the internet. If you’re on Wi-Fi, this usually won’t be a problem. But if you’re using data, every time the app brings up an ad, your data is being consumed. The best way to prevent ads from consuming data is to purchase the app. So, if you believe that a particular app you’re using is of great value, then you might want to go ahead and buy it to prevent seeing ads and to save on data consumption. Some apps, such as Facebook, allow you to use the app without consuming data. The trade-off though is that the app doesn’t display any images or videos while you’re using its free data option. If you’re using Facebook’s messenger app, free data is significant because you won’t be consuming your data plan to communicate with your contacts over messenger. If you have an Android 7.0 Nougat device, you can make use of its Data Saver feature to quickly limit the use of data. What this feature does is it limits background data use automatically. You can do the same manually, but using Data Saver makes the process a whole lot easier. Another great feature of Data Saver is that you can also choose which apps to permit background data usage. Some apps do require this feature to work correctly and if you happen to need the app, then you can provide permission for the app to use background data. Some apps don’t need a continuous internet connection to work properly. If an app offers offline usage, then it would be an excellent idea to use it offline whenever you can. For instance, some maps are available offline. If you want to ensure that the map is updated, then update the map first and then set it to offline use. In addition to maps, some streaming apps also offer offline use. However, to do this, instead of a live stream, you’ll be receiving a pre-cached version of the stream. And speaking of data caching, this option is widely available on a lot of other apps. As such, you might want to research apps that offer this type of usage to reduce the chances of hitting your data cap while still enjoying the services and features of your apps. For some people, Android’s data usage tracker would be sufficient to monitor the amount of data being used correctly. However, if you’re not used to the way data tracker on Android works, or you want a tracker that is a bit less complicated, then you might want to consider downloading a third-party data usage tracker app from the Play Store. Since there are quite some apps that are fully capable of tracking your data, we won’t be able to cover all of them here. Instead, we’ll give you an idea of how such trackers work by providing an example. One such tracker that is quite popular is Onavo Count. The app is free on Play Store and has plenty of features, such as easy setup, alerts when data cap is almost maxed out data cap setting, and predictive alerts. 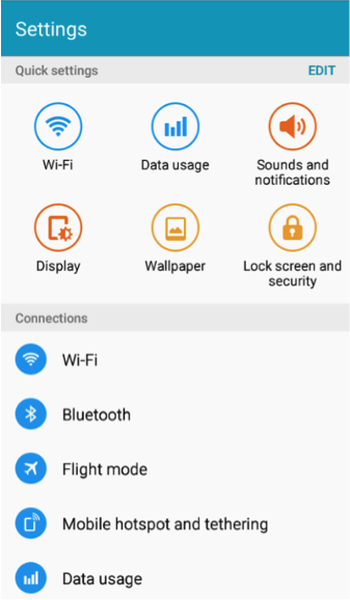 Another feature of Onavo Count is that you can set it so that it will only permit apps to use the internet if the connection is on Wi-Fi only. 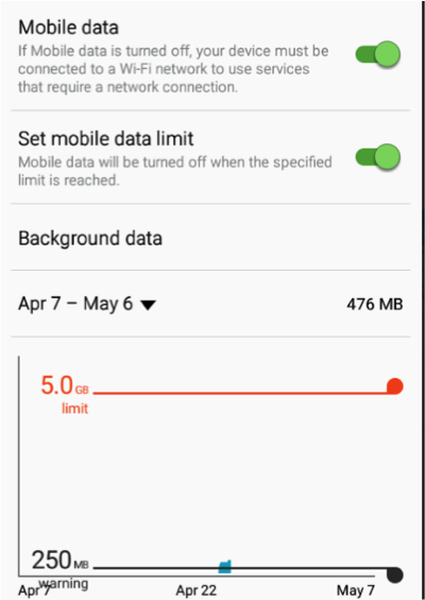 If you’re using a 3G or 4G data connection, the app will prevent all forms of data usage to avoid exceeding the set data cap. Onavo Count is highly useful when tracking data usage. However, if you were to try to limit your use of data over a Wi-Fi network, then Onavo won’t be able to help you that much. The only reason why you would want to limit the use of data over Wi-Fi is if you’re using a home network that also has a data cap. If your primary internet provider has placed a data cap on your home network, then it would make sense to limit the use of your data when your smartphone is connected to Wi-Fi. One of the reasons why many people have a hard time controlling their data usage is because of so many apps that are no longer needed but keep on updating. 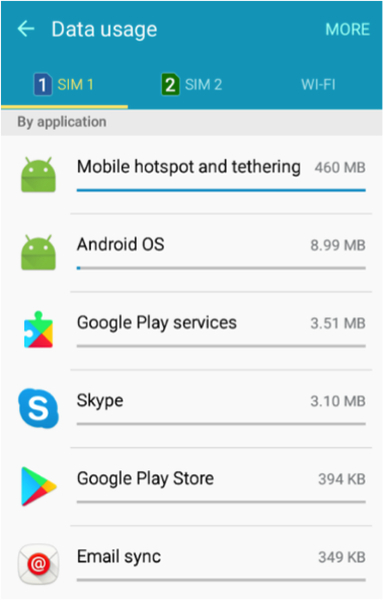 If your app usage is a bit out of control, or if you simply want to ensure that your Android device is optimized at all times, then it would be best to use Outbyte Android Care on a periodic basis. Outbyte Android Care maximizes your Android device by clearing it of any apps that you no longer use. This way, you can be sure that only the apps you need are consuming data.